Low temperature with 4% silver content, melts at 430 F. Works best with propane torch on brass, nickel/silver, and stainless. Comes in 1 pound of 1/16? diameter solder on a roll. 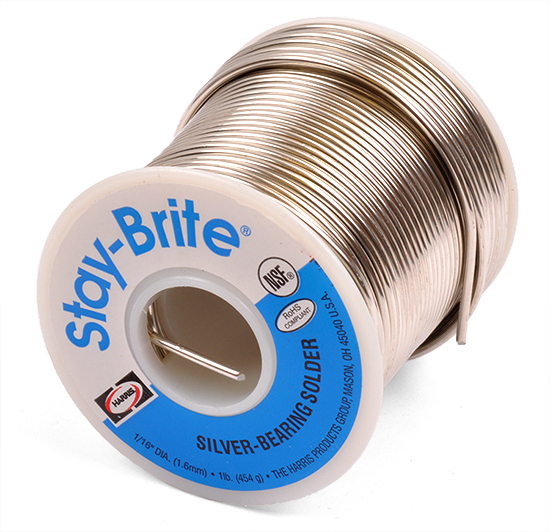 154 CM Stainless Steel- 5/32"(.170"-185") x 1-1/2" x 36"
Notify me of updates to Silver Solder 1 lb.